The Volvo XC90 is available with either 250 hp or 316 hp gasoline engines or a range-topping 400 hp hybrid offering, all 2.0-liter inline-fours mated to an 8-speed automatic transmission. The base T5 has front-wheel drive or available all-wheel drive which is standard on the rest of the range. The XC90 is ultra-stylish and luxurious, even base trim includes a hands-free power liftgate, 9-inch touchscreen and lane departure warning. 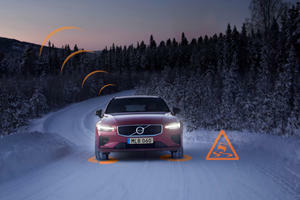 Available safety devices such as autonomous pilot assist and luxury options like heated and massaging seats add further appeal. 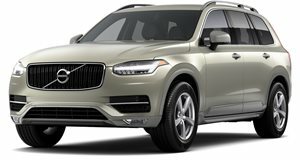 The mid-size Volvo XC90 SUV is now in its second generation and for 2017 it adds to its already comprehensive specifications with additional trim levels and advanced driver assistance systems. The rest of the stylish package remains mostly unchanged meaning you still get a vast range of customization options and three drivetrains to choose from. The XC90 exudes Scandinavian elegance from every interior surface. The large 9-inch screen takes center stage on the minimalist dash and there are very few physical buttons and switches in the cabin. Available interior finishes further raise the interior ambiance to at least the level of the best in class. The first two rows of seats offer a high level of comfort for all shapes and sizes but the third pew is more suitable for smaller occupants. A useful available feature is the integrated booster seat for younger children. Base T5 models do not come standard with the third row of seats which does help increase the cargo area. The XC90 handles corners extremely well, minimal body roll and surefooted responses make for a confidence inspiring driving experience. In standard trim the 18-inch wheels manage to cope with uneven pavement better than the higher specification 21-inch wheels, which even with the available air suspension tend to struggle over bad roads. It may be worth sticking to the higher profile wheels although most of the XC90’s competitors do manage a better handling/ride compromise. On smooth highways the XC90 is the consummate cruiser, the cabin is hushed and road noise is barely perceptible. The base T5 produces 250 horsepower and 258 lb ft of torque from its 2.0-liter inline-4 turbocharged engine, next up is the T6 which adds a supercharger into the mix to give totals of 316 hp and 295 lb ft of torque. All XC90s come with an 8-speed automatic transmission and all-wheel drive is standard fitment on all bar the base T5 which has it as an option. These high power outputs don’t translate into the kind of performance you might expect however. That heavy body shell does the 250 hp T5 no favors and it feels more sluggish than the 7.5-second 0-60 mph claims would have you believe. The 316 hp T6 feels less accelerative than most of its key rivals too and despite a claimed competitive 0-60 mph time of 6.1-seconds it just never feels as strong as the numbers suggest. There is a saving grace in the T8 Plug-in Hybrid, its combined 400hp and strong 472 lb ft of torque propel it to 60mph in 5.5-seconds and it matches the others on overall efficiency. 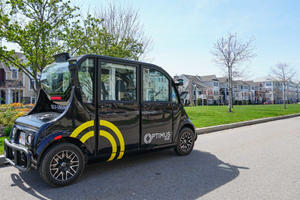 It can also be driven for around 14 miles in pure electric mode. The XC90 is available in T5, T6 and T8 Twin Engine variants, four trim levels are offered. There are minor differences at each trim level based on which engine variant they are fitted to. The base Momentum trim includes a panoramic sunroof, rearview camera, keyless ignition, power front seats, 9-inch touchscreen with Navigation and Bluetooth and smartphone compatibility as well as a 10-speaker audio system. The T6 and T8 also get leather upholstery and a third row of seats. Inscription trim offers upgraded 20-inch wheels, leather upholstery, Apple CarPlay and Android Auto integration and unique design finishes. R-Design is a similar offering although with a sportier approach and includes shift paddles, sport seats and sport steering wheel. Excellence trim is reserved for the T8 and is a 4-seater only featuring a pair of luxurious rear seats with heating, power and massaging function. A Luxury, Climate or Convenience Package further add items such as adaptive cruise control, automated parking assist and adaptive air-suspension and premium audio systems can be optioned individually too. The ultra-stylish XC90 is a refreshingly different offering from Volvo and its comprehensive safety equipment, quality interior and available hybrid drivetrain add to its appeal. 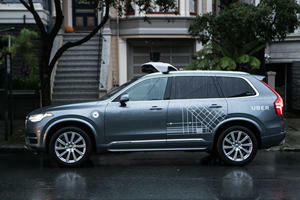 Base models underwhelm in terms of performance but in most other areas the XC90 impresses with its capabilities.